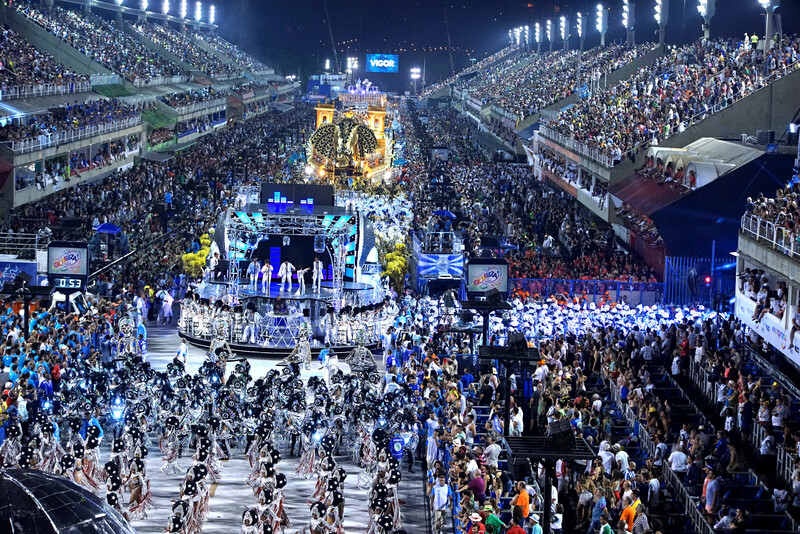 Betting on a futuristic theme, "Vila" - the 2013 Grupo Especial champion - is the third samba school to perform at the Sambódromo on Sunday, February 11th. RIO DE JANEIRO, BRAZIL – On Sunday, February 11th, the Unidos de Vila Isabel samba school will be parading in the 2018 Carnival. Expected to enter the Sambódromo at 11:25 PM, “Vila” will be the third from the Grupo Especial (Special Group) to participate in the competition with a “samba enredo” about the future of humankind. Vila Isabel’s futurist samba enredo promises to amaze the audience this year, especially for having well-reputed carnavalesco Paulo Barros in its direction, photo by Tata Barreto/Riotur. Having dedicated a samba to the African diaspora in the 2017 championship, Vila Isabel stands out in the Carnival universe for the excellence of its composers, among which is Martinho da Vila, one of the most renowned samba artists in Rio. Vila’s triumphant performances in 2006 and 2013 were the last to earn the school the coveted first place. 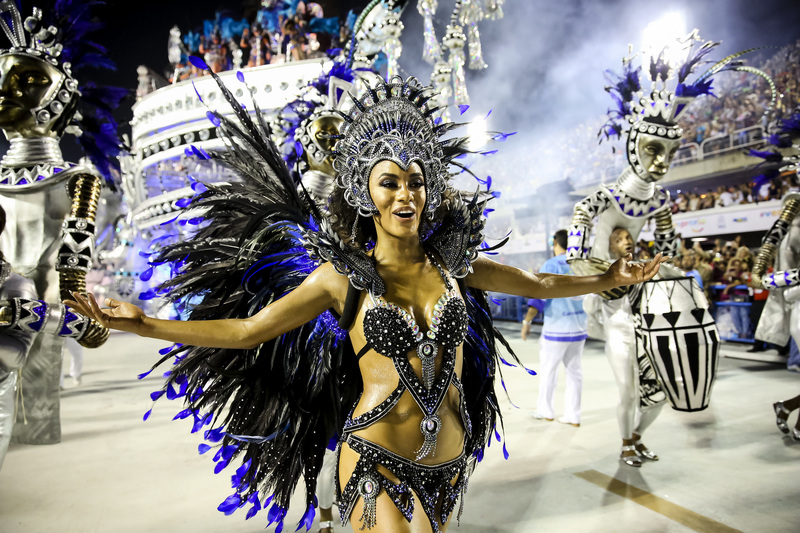 In 2006, Vila Isabel payed tribute to the history and culture of Latin America; and in Carnival 2013, it succeeded with a samba on the Brazilian agriculture and Brazil’s popular countryside imaginary. Officially founded in 1946 by “Seu” China and Tuninho Carpinteiro, Unidos de Vila Isabel has first started as a small Carnival bloco in the neighborhood of Vila Isabel, in Rio’s Zona Norte. Today, Vila is among the most respected samba schools in Rio, especially for having Paulo Barros as its “carnavalesco” (person in charge of the samba school’s artistic direction) for the 2018 championship. The shades of white and blue always mark Vila Isabel’s parade, which happens at 11:25 PM this year, photo by Fernando Grilli/Riotur. Highly sought after among the Grupo Especial samba schools, Paulo Barros is famous for his innovative ideas and the use of technology on the parades. The result of his brilliant work stands out at the Sapucaí like no other, having crowned great schools like Unidos da Tijuca and Portela in the most recent years. This Carnival, Paulo Barros, who last worked for Vila Isabel nine years ago, promises to amaze the audience one more time with the theme “Corra Que o Futuro Vem Aí” (Run, The Future is Coming”). Composed by Evandro Bocão, André Diniz, Pinguim, JP, Marcelo Valência, Julio Alves and Deco Augusto, the samba enredo aims to reflect on where the mankind is going to. “What can we expect from the future? Where are we coming from? This is the starting point to conceive our samba enredo. We want to think about the legacy that the previous generations left for us. And it is up to us to write the future. Thus, Vila Isabel will come up with an idea of a bright future on the Sambódromo, a future we all dream of,” says Paulo Barros. Mentioning greats like Albert Einstein, Graham Bell, Santos Dumont and even Steve Jobs, “Corra Que o Futuro Vem Aí” is one of the most anticipated samba enredos in Carnival 2018. According to Barros, the visual identity of Vila Isabel’s parade will be inspired by the classic “Back to the Future (1985), American sci-fi trilogy directed by Robert Zemeckis. Represented by a white-and-blue flag with a royal coat of arms as its center – which alludes to the crown of Isabel, the Princess of Brazil’s Empire – Unidos da Vila Isabel is widely known for “Kizomba – A festa da raça”, remarkable samba enredo that earned the school its first title at the Grupo Especial championship, in 1988. Those interested in participating in Carnival 2018 still have the opportunity to parade on the Sambódromo with Vila Isabel samba school. In order to purchase a costume, one must call Vila Isabel’s administration and talk to Samantha Dias: (21) 96432-5225.